This story is one of my favorites. A friend asked me to recreate in embroidery a love note he’d written for his girlfriend and left on the bathroom mirror late one night. He gave me a handkerchief, and I set to work. The resulting piece became part of his proposal to her. They are now engaged – yay! 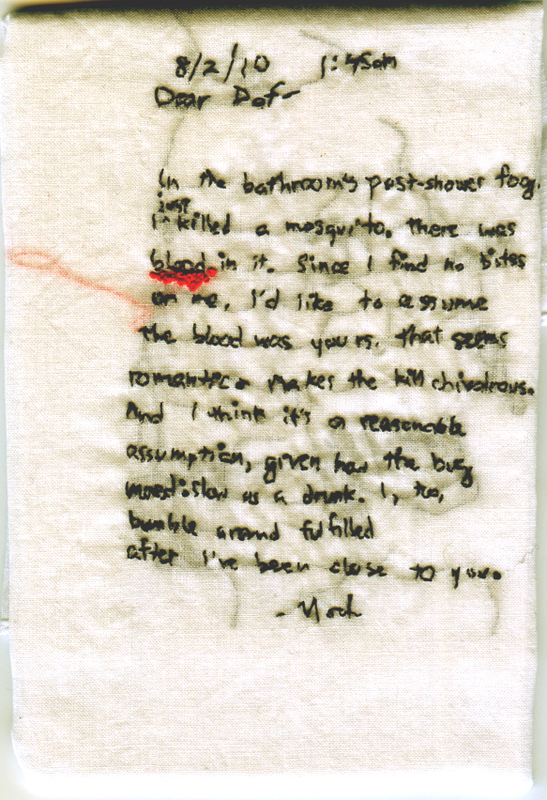 “Will you be Mine/ Post-Shower Fog.” Embroidery on pocket square. 2012. Custom.